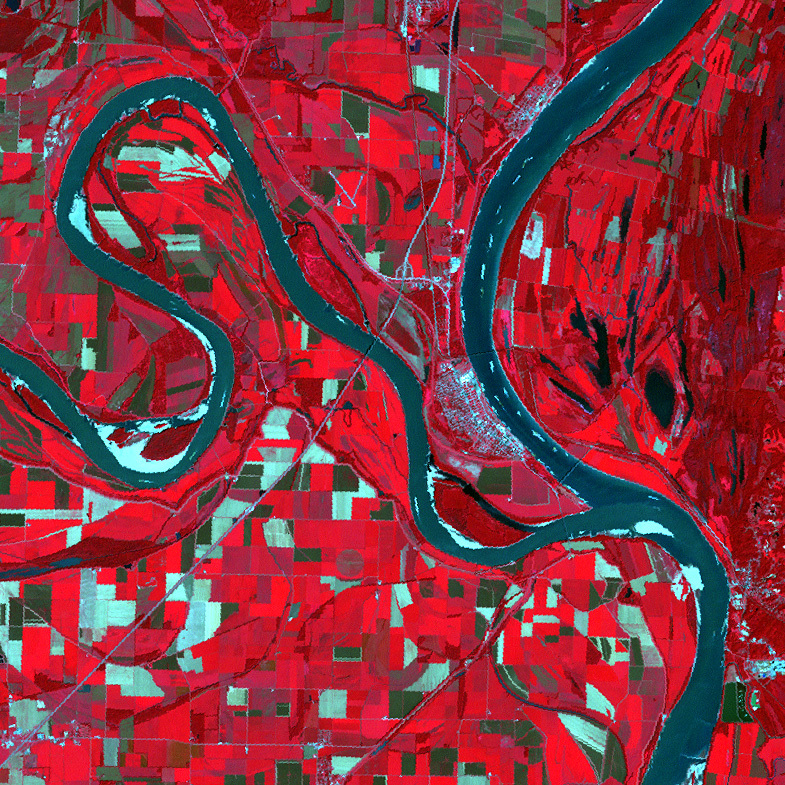 A satellite view of the Mississippi River shows a mosaic of riverbank land-use patterns. Rivers and streams in the United States are releasing a lot more CO2 into the atmosphere than scientists previously thought, according to a new study by scientists at Yale. In fact, American waterways are discharging the gas into the atmosphere at a rate of 100 million metric tons per year, an amount equal to a car burning 40 billion gallons of gas, researchers say. The study, conducted by David Butman and Peter Raymond of the Yale School of Forestry and Environmental Studies, looked at water chemistry data from more than 4,000 rivers and streams. The authors say identifying this significant source of CO2 could change the way scientists model the movement of carbon through ecosystems and the atmosphere. The study is published in the current issue of Nature Geoscience. 1) Comparison of emissions as % of overall auto gas consumption, and 2) implications of this research (readers will form a view of its implications whether or not you address them; so you might as well help readers form an accurate view). from wikianswers, How much gasoline is burned in the United Sates each year? Answer: 140 billion gallons in 2004, and it was growing. Gretchen, What surprised me is the shallowness of your article. Your piece left me with more questions and little useful information. What is the process for this carbon conversion to CO2 in rivers and streams? How does this 100 million metric tons per year compare as a percentage to the other know CO2 sources in the US? In order to provide “… in-depth coverage of climate-related science and policy issues….” you really need to go beyond the press release. Thanks for you comments and for furthering the discussion here. Unfortunately, we don’t always have the resources to explore every topic as deeply and some might like. Sometimes, we post things to the Climate Watch blog that come across our desks that we think are interesting, and we want to alert our readers so they can take a look for themselves and explore should they choose. This is one of those instances. Thanks for raising some great questions.